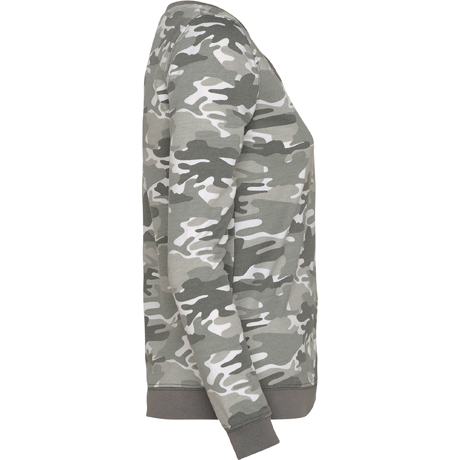 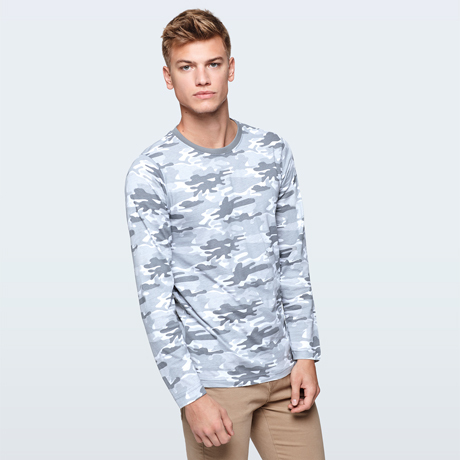 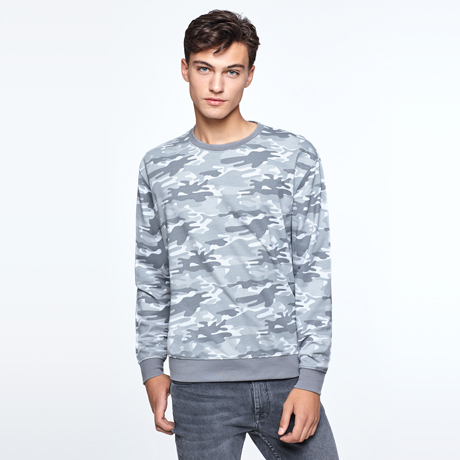 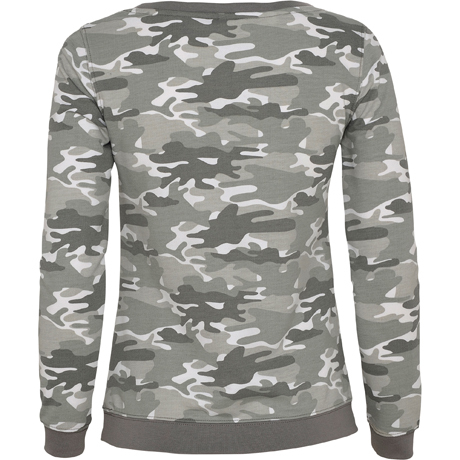 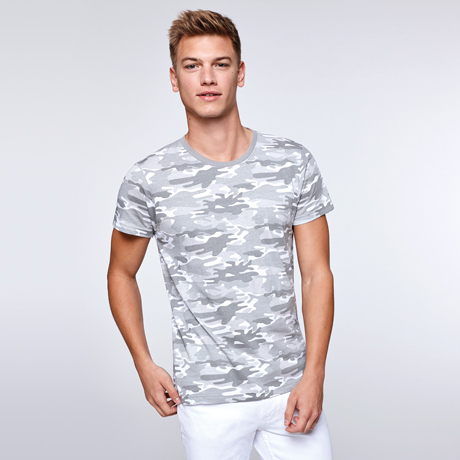 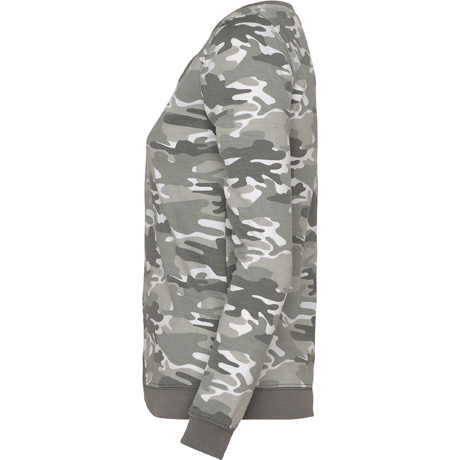 Printing camouflage sweatshirt, rounded shaped squared neck and ribbed trim colour. 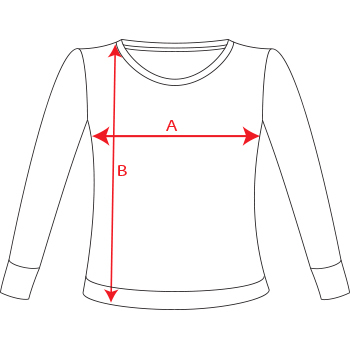 1x1 rib knit with elastane in waist and cuffs. 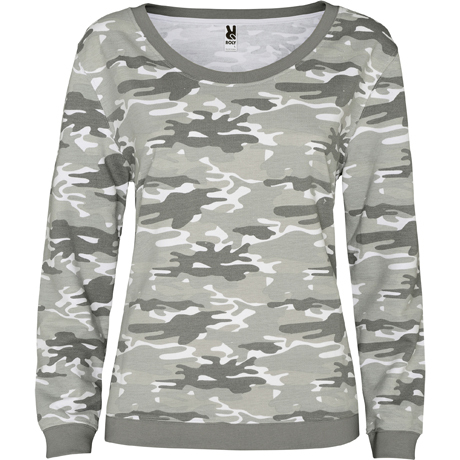 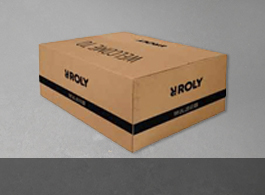 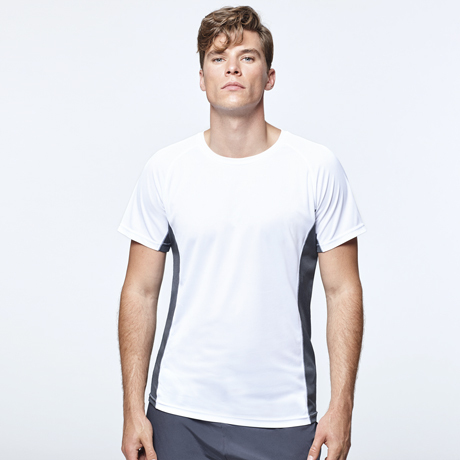 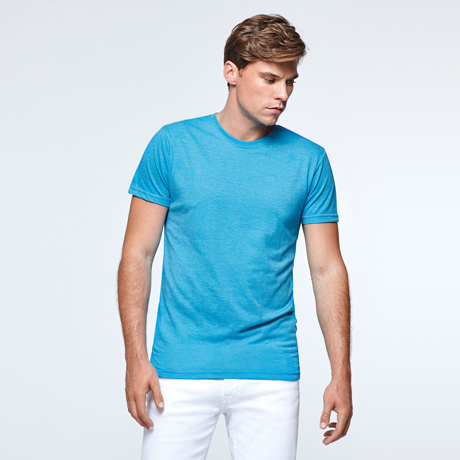 Composition 60% cotton / 40% polyester, non brushed fleece, slub cotton, 290 gsm.